"Hobbes" redirects here. For other people called Hobbes, see Hobbes (disambiguation). For the Dean of Exeter, see Thomas Hobbes (priest). For those of a similar name, see Thomas Hobbs. Thomas Hobbes (/hɒbz/; 5 April 1588 – 4 December 1679), in some older texts Thomas Hobbes of Malmesbury, was an English philosopher, considered to be one of the founders of modern political philosophy. Hobbes is best known for his 1651 book Leviathan, which expounded an influential formulation of social contract theory. In addition to political philosophy, Hobbes also contributed to a diverse array of other fields, including history, jurisprudence, geometry, the physics of gases, theology, ethics, and general philosophy. Thomas Hobbes was born at Westport, now part of Malmesbury in Wiltshire, England, on 5 April 1588. Born prematurely when his mother heard of the coming invasion of the Spanish Armada, Hobbes later reported that "my mother gave birth to twins: myself and fear." His childhood is almost completely unknown, and his mother's name is unknown. His father, Thomas Sr., was the vicar of Charlton and Westport. 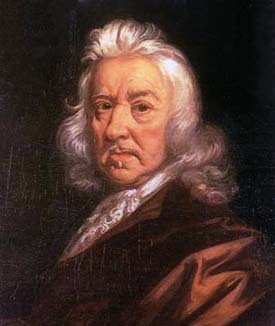 Thomas Hobbes, the younger, had a brother Edmund, about two years older, and a sister. Thomas Sr. was involved in a fight with the local clergy outside his church, forcing him to leave London and abandon the family. The family was left in the care of Thomas Sr.'s older brother, Francis, a wealthy merchant with no family. Hobbes Jr. was educated at Westport church from age four, passed to the Malmesbury school, and then to a private school kept by a young man named Robert Latimer, a graduate of the University of Oxford. Hobbes was a good pupil, and around 1603 he went up to Magdalen Hall, the predecessor college to Hertford College, Oxford. The principal John Wilkinson was a Puritan, and he had some influence on Hobbes. At university, Hobbes appears to have followed his own curriculum; he was "little attracted by the scholastic learning" and completed his B.A. degree in 1608. He was recommended by Sir James Hussey, his master at Magdalen, as tutor to William, the son of William Cavendish, Baron of Hardwick (and later Earl of Devonshire), and began a lifelong connection with that family. Hobbes became a companion to the younger William and in 1610 they both took part in a grand tour of Europe. Hobbes was exposed to European scientific and critical methods during the tour, in contrast to the scholastic philosophy that he had learned in Oxford. His scholarly efforts at the time were aimed at a careful study of classic Greek and Latin authors. One outcome was, in 1628, his translation of Thucydides' History of the Peloponnesian War, the first translation of that work into English from the original Greek. It has been argued that three of the discourses in the 1620 publication known as Horea Subsecivae: Observations and Discourses also represent the work of Hobbes from this period. When in November 1640 the Long Parliament succeeded the Short, Hobbes felt that he was in disfavour due to the circulation of his treatise and fled to Paris. He did not return for 11 years. In Paris, he rejoined the coterie around Mersenne and wrote a critique of the Meditations on First Philosophy of Descartes, which was printed as third among the sets of "Objections" appended, with "Replies" from Descartes, in 1641. A different set of remarks on other works by Descartes succeeded only in ending all correspondence between the two. Hobbes also extended his own works in a way, working on the third section, De Cive, which was finished in November 1641. Although it was initially only circulated privately, it was well received, and included lines of argumentation that were repeated a decade later in Leviathan. He then returned to hard work on the first two sections of his work and published little except a short treatise on optics (Tractatus opticus) included in the collection of scientific tracts published by Mersenne as Cogitata physico-mathematica in 1644. He built a good reputation in philosophic circles and in 1645 was chosen with Descartes, Gilles de Roberval and others to referee the controversy between John Pell and Longomontanus over the problem of squaring the circle. In Leviathan, Hobbes set out his doctrine of the foundation of states and legitimate governments and creating an objective science of morality. [citation needed] Much of the book is occupied with demonstrating the necessity of a strong central authority to avoid the evil of discord and civil war. In such a state, people fear death and lack both the things necessary to commodious living, and the hope of being able to toil to obtain them. So, in order to avoid it, people accede to a social contract and establish a civil society. According to Hobbes, society is a population and a sovereign authority, to whom all individuals in that society cede some rights for the sake of protection. Any power exercised by this authority cannot be resisted, because the protector's sovereign power derives from individuals' surrendering their own sovereign power for protection. The individuals are thereby the authors of all decisions made by the sovereign. "he that complaineth of injury from his sovereign complaineth that whereof he himself is the author, and therefore ought not to accuse any man but himself, no nor himself of injury because to do injury to one's self is impossible". There is no doctrine of separation of powers in Hobbes's discussion. According to Hobbes, the sovereign must control civil, military, judicial and ecclesiastical powers, even the words. In 1654 a small treatise, Of Liberty and Necessity, directed at Hobbes, was published by Bishop John Bramhall. Bramhall, a strong Arminian, had met and debated with Hobbes and afterwards wrote down his views and sent them privately to be answered in this form by Hobbes. Hobbes duly replied, but not for publication. However, a French acquaintance took a copy of the reply and published it with "an extravagantly laudatory epistle". Bramhall countered in 1655, when he printed everything that had passed between them (under the title of A Defence of the True Liberty of Human Actions from Antecedent or Extrinsic Necessity). In 1656, Hobbes was ready with The Questions concerning Liberty, Necessity and Chance, in which he replied "with astonishing force" to the bishop. As perhaps the first clear exposition of the psychological doctrine of determinism, Hobbes's own two pieces were important in the history of the free-will controversy. The bishop returned to the charge in 1658 with Castigations of Mr Hobbes's Animadversions, and also included a bulky appendix entitled The Catching of Leviathan the Great Whale. Hobbes opposed the existing academic arrangements, and assailed the system of the original universities in Leviathan. He went on to publish De Corpore, which contained not only tendentious views on mathematics but also an erroneous proof of the squaring of the circle. This all led mathematicians to target him for polemics and sparked John Wallis to become one of his most persistent opponents. From 1655, the publishing date of De Corpore, Hobbes and Wallis went round after round trying to disprove each other's positions. After years of debate, the spat over proving the squaring of the circle gained such notoriety that it has become one of the most infamous feuds in mathematical history. Hobbes was accused of atheism by several contemporaries; Bramhall accused him of teachings that could lead to atheism. This was an important accusation, and Hobbes himself wrote, in his answer to Bramhall's The Catching of Leviathan, that "atheism, impiety, and the like are words of the greatest defamation possible". Hobbes always defended himself from such accusations. In more recent times also, much has been made of his religious views by scholars such as Richard Tuck and J. G. A. Pocock, but there is still widespread disagreement about the exact significance of Hobbes's unusual views on religion. As Martinich has pointed out, in Hobbes's time the term "atheist" was often applied to people who believed in God but not in divine providence, or to people who believed in God but also maintained other beliefs that were inconsistent with such belief. He says that this "sort of discrepancy has led to many errors in determining who was an atheist in the early modern period". In this extended early modern sense of atheism, Hobbes did take positions that strongly disagreed with church teachings of his time. For example, he argued repeatedly that there are no incorporeal substances, and that all things, including human thoughts, and even God, heaven, and hell are corporeal, matter in motion. He argued that "though Scripture acknowledge spirits, yet doth it nowhere say, that they are incorporeal, meaning thereby without dimensions and quantity". (In this view, Hobbes claimed to be following Tertullian). Like John Locke, he also stated that true revelation can never disagree with human reason and experience, although he also argued that people should accept revelation and its interpretations for the reason that they should accept the commands of their sovereign, in order to avoid war. The king was important in protecting Hobbes when, in 1666, the House of Commons introduced a bill against atheism and profaneness. That same year, on 17 October 1666, it was ordered that the committee to which the bill was referred "should be empowered to receive information touching such books as tend to atheism, blasphemy and profaneness... in particular... the book of Mr. Hobbes called the Leviathan". Hobbes was terrified at the prospect of being labelled a heretic, and proceeded to burn some of his compromising papers. At the same time, he examined the actual state of the law of heresy. The results of his investigation were first announced in three short Dialogues added as an Appendix to his Latin translation of Leviathan, published in Amsterdam in 1668. In this appendix, Hobbes aimed to show that, since the High Court of Commission had been put down, there remained no court of heresy at all to which he was amenable, and that nothing could be heresy except opposing the Nicene Creed, which, he maintained, Leviathan did not do. In October 1679 Hobbes suffered a bladder disorder, and then a paralytic stroke, from which he died on 4 December 1679, aged 91. His last words were said to have been "A great leap in the dark", uttered in his final conscious moments. His body was interred in St John the Baptist's Church, Ault Hucknall, in Derbyshire. 1630. A Short Tract on First Principles, British Museum, Harleian MS 6796, ff. 297–308: critical edition with commentary and French translation by Jean Bernhardt: Court traité des premiers principes, Paris, PUF, 1988 (authorship doubtful: this work is attributed by some critics to Robert Payne). Volume III. Latin version of Leviathan. Volume IV. Various concerning mathematics, geometry and physics. Volume V. Various short works. Volume 1. De Corpore translated from Latin to English. Volume 5. The Questions concerning Liberty, Necessity and Chance, clearly stated and debated between Dr Bramhall Bishop of Derry and Thomas Hobbes of Malmesbury. Volume 8 and 9. The Peloponnesian War by Thucydides, translated into English by Hobbes. The Elements of Law, Natural and Politic, edited with a preface and critical notes by Ferdinand Tönnies, London, 1889 (first complete edition). ^ a b Sorell, Tom (January 26, 1996). The Cambridge Companion to Hobbes. Cambridge University Press. p. 155. doi:10.1017/CCOL0521410193. ISBN 9780521422444. ^ Hobbes, Thomas (1682). Tracts of Mr. Thomas Hobbs of Malmsbury: Containing I. Behemoth, the history of the causes of the civil wars of England, from 1640. to 1660. printed from the author's own copy: never printed (but with a thousand faults) before. II. An answer to Arch-bishop Bramhall's book, called the Catching of the Leviathan: never printed before. III. An historical narration of heresie, and the punishment thereof: corrected by the true copy. IV. Philosophical problems, dedicated to the King in 1662. but never printed before. W. Crooke. p. 339. ^ "Thomas Hobbes: Moral and Political Philosophy". Internet Encyclopedia of Philosophy. UTM. Retrieved February 17, 2018. ^ Sheldon, Dr. Garrett Ward (2003). The History of Political Theory: Ancient Greece to Modern America. Peter Lang. p. 253. ISBN 9780820423005. ^ Lloyd, Sharon A.; Sreedhar, Susanne (February 12, 2012). "Hobbes's Moral and Political Philosophy". Stanford Encyclopedia of Philosophy. Retrieved February 25, 2014. ^ "Thomas Hobbes Biography". Encyclopedia of World Biography. Advameg, Inc. Retrieved July 24, 2009. ^ Hobbes, Thomas (1679). "Opera Latina". In Molesworth, William. Vita carmine expressa. I. London. p. 86. ^ Jacobson, Norman; Rogow, Arnold A. (1986). Thomas Hobbes: Radical in the Service of Reaction. Political Psychology. 8. p. 469. doi:10.2307/3791051. ISBN 9780393022889. ISSN 0162-895X. JSTOR 3791051. LCCN 79644318. OCLC 44544062. ^ "Philosophy at Hertford College". Oxford: Hertford College. Retrieved July 24, 2009. ^ Helden, Al Van (1995). "Hobbes, Thomas". The Galileo Project. Rice University. Retrieved July 24, 2009. ^ King, Preston T. (1993). Thomas Hobbes: Politics and law. Routledge. p. 89. ISBN 978-0-41508083-5. ^ O'Connor, J. J.; Robertson, E. F. (November 2002). "Thomas Hobbes". School of Mathematics and Statistics. Scotland: University of St Andrews. Retrieved July 24, 2009. ^ Hobbes, Thomas (1995). Reynolds, Noel B.; Saxonhouse, Arlene W., eds. Three Discourses: A Critical Modern Edition of Newly Identified Work of the Young Hobbes. University of Chicago Press. ISBN 9780226345451. ^ "English Civil Wars". History.com. A&E Television Networks, LLC. Retrieved 9 August 2018. ^ Professor Morrill (17 February 2011). "British History in depth: Oliver Cromwell". BBC History. BBC. Retrieved 9 August 2018. ^ Stoyle, Dr Mike (17 February 2011). "Choosing Sides in the English Civil War". BBC History. BBC. Retrieved 9 August 2018. ^ Vardanyan, Vilen (10 January 2011). Panorama of Psychology. AuthorHouse. p. 72. ISBN 9781456700324. ^ Yelegaonkar, Shrikant (2009). Western Thinker's in Political Science. Lulu.com. p. 140. ISBN 9781329082779. ^ Ameriks, Karl; Clarke, Desmond M. (2007). Chappell, Vere, ed. Hobbes and Bramhall on Liberty and Necessity (PDF). Cambridge University Press. p. 31. doi:10.1017/CBO9780511495830. ISBN 9780511495830. Retrieved 9 August 2018. ^ a b Robertson, George Croome. "Hobbes, Thoms". Encyclopedia Brittanica, 1911. Retrieved 27 December 2018. ^ "House of Commons Journal Volume 8". British History Online. Retrieved 14 January 2005. ^ Grounds, Eric; Tidy, Bill; Stilgoe, Richard (25 November 2014). The Bedside Book of Final Words. Amberley Publishing Limited. p. 20. ISBN 9781445644646. ^ Coulter, Michael L.; Myers, Richard S.; Varacalli, Joseph A. (5 April 2012). Encyclopedia of Catholic Social Thought, Social Science, and Social Policy: Supplement. Scarecrow Press. p. 140. ISBN 9780810882751. ^ Hobbes, Thomas (1995). Reynolds, Noel; Saxonhouse, Arlene, eds. Three Discourses: A Critical Modern Edition of Newly Identified Work of the Young Hobbes. University of Chicago Press. ^ Schuhmann, Karl (1998). "Skinner's Hobbes". British Journal of the History of Philosophy. 6 (1): 115. p. 118. Skinner, in Visions of Politics, affirms Schuhmann's view: see vol. 3, p. 4, fn. 27. Ioannis Evrigenis presents a summary of this confusing episode, as well as most relevant literature, in Evrigenis, Ioannis D. (2016). Images of Anarchy: The Rhetoric and Science in Hobbes's State of Nature. Cambridge: Cambridge U.P. , p. 48, n. 13. This article incorporates text from a publication now in the public domain: Chisholm, Hugh, ed. (1911). "Hobbes, Thomas" . Encyclopædia Britannica. 13 (11th ed.). Cambridge University Press. pp. 545–552. Macpherson, C. B. (1962). The Political Theory of Possessive Individualism: Hobbes to Locke, Oxford: Oxford University Press. Malcolm, Noel (2002). Aspects of Hobbes, New York: Oxford University Press. Manent, Pierre (1996). An Intellectual History of Liberalism, Princeton: Princeton University Press. Martinich, A. P. (2003) "Thomas Hobbes" in The Dictionary of Literary Biography, Volume 281: British Rhetoricians and Logicians, 1500–1660, Second Series, Detroit: Gale, pp. 130–44. Martinich, A. P. (1997). Thomas Hobbes, New York: St. Martin's Press. Martinich, A. P. (1992). The Two Gods of Leviathan: Thomas Hobbes on Religion and Politics, Cambridge: Cambridge University Press. Narveson, Jan; Trenchard, David (2008). "Hobbes, Thomas (1588–1676)". In Hamowy, Ronald. Hobbes, Thomas (1588–1679). The Encyclopedia of Libertarianism. Thousand Oaks, CA: SAGE; Cato Institute. pp. 226–27. doi:10.4135/9781412965811.n137. ISBN 978-1412965804. LCCN 2008009151. OCLC 750831024. Oakeshott, Michael (1975). Hobbes on Civil Association, Oxford: Basil Blackwell. Shapin, Steven and Shaffer, Simon (1995). Leviathan and the Air-Pump. Princeton: Princeton University Press. Skinner, Quentin (1996). Reason and Rhetoric in the Philosophy of Hobbes, Cambridge: Cambridge University Press. Strauss, Leo (1936). The Political Philosophy of Hobbes; Its Basis and Its Genesis, Oxford: Clarendon Press. Strauss, Leo (1959). "On the Basis of Hobbes's Political Philosophy" in What Is Political Philosophy?, Glencoe, IL: Free Press, chap. 7. Tönnies, Ferdinand (1925). Hobbes. Leben und Lehre, Stuttgart: Frommann, 3rd ed. Vieira, Monica Brito (2009). The Elements of Representation in Hobbes, Leiden: Brill Publishers. Zagorin, Perez (2009). Hobbes and the Law of Nature, Princeton NJ: Princeton University Press. Wikimedia Commons has media related to Thomas Hobbes. Montmorency, James E. G. de (1913). "Thomas Hobbes". In Macdonell, John; Manson, Edward William Donoghue. Great Jurists of the World. London: John Murray. pp. 195–219. Retrieved 12 March 2019 – via Internet Archive. "Thomas Hobbes". Retrieved 29 March 2019 – via Online Library of Liberty. Thomas Hobbes nominated by Steven Pinker for the BBC Radio 4 programme Great Lives.